Last week, we announced the members of the second New Profit Women’s Accelerator cohort. Stay tuned this week for a more in depth look at each of these amazing female social entrepreneurs and their organizations. 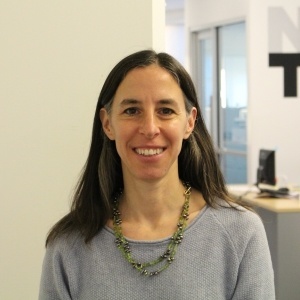 Today, we shine a spotlight on Justine Zinkin and Neighborhood Trust Financial Partners. Neighborhood Trust Financial Partners seeks to institutionalize financial education as a fundamental component of economic development initiatives-and to promote an action-oriented model which includes financial products and services sensitive to the nontraditional financial behavior of marginalized communities. For more than 15 years Neighborhood Trust has integrated financial counseling and supports into settings and programs that low-income people trust, where financial supports are relevant, meaningful, and actionable. Neighborhood Trust has a growing roster of socially responsible financial products, designed to help people build financial plans that encourage savings and reduce debt. They envision a world in which relevant and effective financial services are integrated into people’s everyday lives so that improved money management and financial mobility are the default outcome. Justine Zinkin is CEO of Neighborhood Trust Financial Partners and Neighborhood Trust Federal Credit Union and has overseen the dramatic growth of both organizations since 2002. She has more than 15 years of experience in nonprofit and community development work. She previously served as Director of Economic Independence Programs at the New York City Department of Housing Preservation and Development, and as Director of Workforce Development at Common Ground Community HDFC. Justine holds an M.B.A. from Columbia Business School, an M.S. in Population Studies from Harvard University's School of Public Health, and a B.A. from Brown University.